In the picturesque municipality of Einsiedeln (Switzerland) we find our partner CHWOLF. The association is a private non-profit Swiss wolf protection organisation. CHWOLF actively engages in wolf protection and is doing that in various ways. The dedicated team organises information events and educational trainings to raise the public’s awareness. Additionally, they promote, support and optimise herd protection measures. CHWOLF provides and distributes knowledge about the wolf, its way of life and its importance. Just like in other countries, the wolf restores nature’s balance in Switzerland. This was also confirmed by the Forest Departmentin the Swiss canton of Graubünden. This knowledge helps to decrease the widely spread fear of the wolf and increase the understanding for nature and predators. Just like the European Wilderness Society, they promote human acceptance towards the returning wolf. 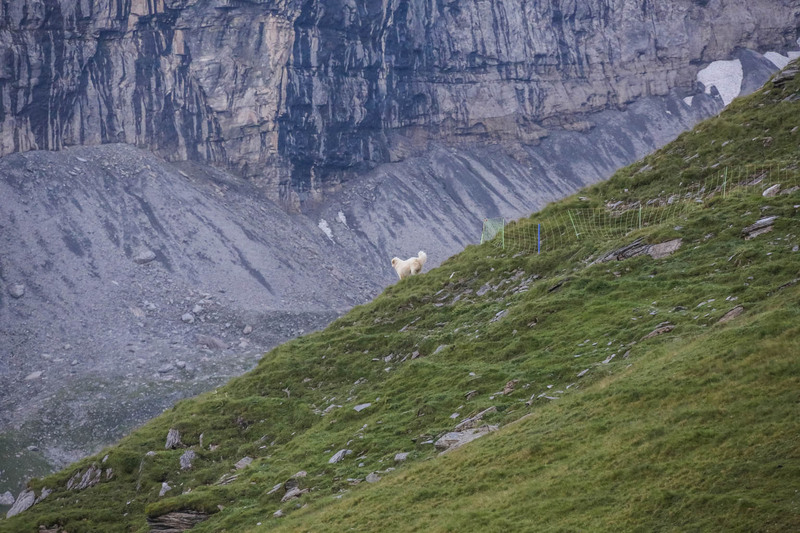 By supporting proper herd management, people can give the wolf a safe and sustainable life in the Swiss Alps. The organisation communicates extensively through their website. You can find a lot of basic information on the wolf, as well as latest updates here. Their professional expert team organises various events to explain people more about the wolf. Just like our Let’s get Wild! the team visits schools to educate the little ones. You can find additional information in their reports, brochures and guidebooks, but also during the fairs and exhibitions they attend. There are good examples of proper herd management in Switzerland, like in Graubünden. To support proper herd management, CHWOLF supports herd protection measures financially. Through introduction, implementation and promotion of best practices they help livestock owners throughout the country. With consultation and advice, CHWOLF aims to optimise protection against the predators, to enable a sustainable coexistence. They participate and promote research projects on herd management, in cooperation with partners and local authorities. The expertise and experience makes the CHWOLF professionals crucial for its projects and educational work. The team has sound know-how on the wolf behaviour and social structures through field observations and analyses. Their conclusion and message is clear: Coexistence of humans, wolves and livestock is possible. However, the alp management needs support for proper herd management. Proper implementation of herd management measures, to protect livestock from predators, is effective. It is even more effective than killing wolves. It enables humans and livestock to coexist with wolves, like the good example of the Ramuz alp. The efforts made are successful on the long-term, helping both people and wolves. But learning and implementing new herd management techniques requires time and financial resources. Therefore, many livestock owners and shepherds appreciate CHWOLF’s efforts to support them in these years. In fact, solving human-wildlife conflictis relatively simple, as long as people are prepared to learn and adapt.